This is one of two species of Lyrebird (the other being Albert's Lyrebird) and is the most common, occurring from Victoria, through NSW and into the very south of Queensland. The name comes from the large, curved tail feathers of the male, which are said to look like a lyre (an ancient harrp-type instrument). 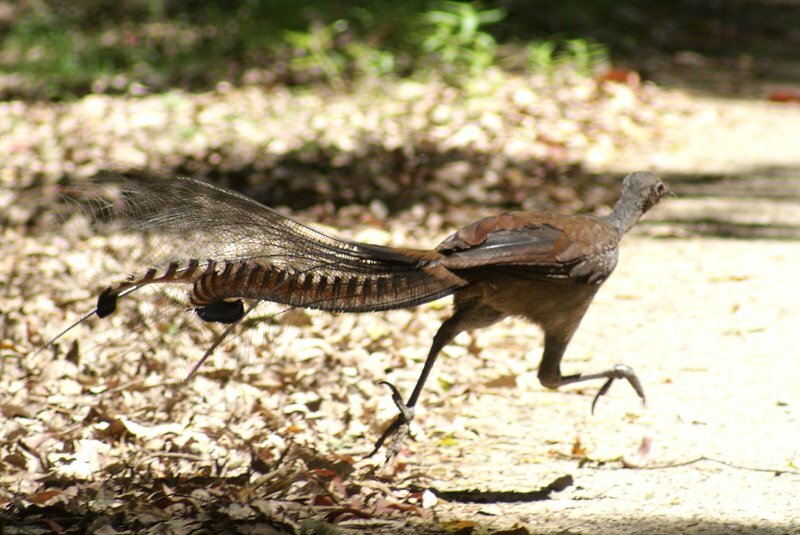 Superb Lyrebirds are expert mimics, not just for other birds' calls, but man-made sounds, too. Despite their appearance, they are not related to pheasants or chickens, but are one of the largest passerines, measuring from 80 to 100 cm. They forage on the floor in woodland for small creatures, usually alone. The bird is used in the logo of the NSW Parks and Wildlife Service. 1: Gloucester Tops NP, NSW, 27/11/2010.